You know, where you get back from vacation and back to work and routine and find yourself feeling a little blah? Where you find yourself dreaming of your next vacation whilst your suitcase sits still half-full because you haven't found the energy to empty it? And where you feel like you're constantly bored because you've gone from doing so many fun things to not much at all? Yep, that's exactly how we're feeling.. But whilst we might miss long action packed days full of fun, I am so glad to be back at home and back in my kitchen - and I thought a delicious treat would be the perfect way to cheer us up. Enter these Peanut Butter Cookie Dough Cheesecake Bites. They're not pretty, but they are RIDICULOUSLY delicious. They're quick to make and seriously, ridiculously delicious. 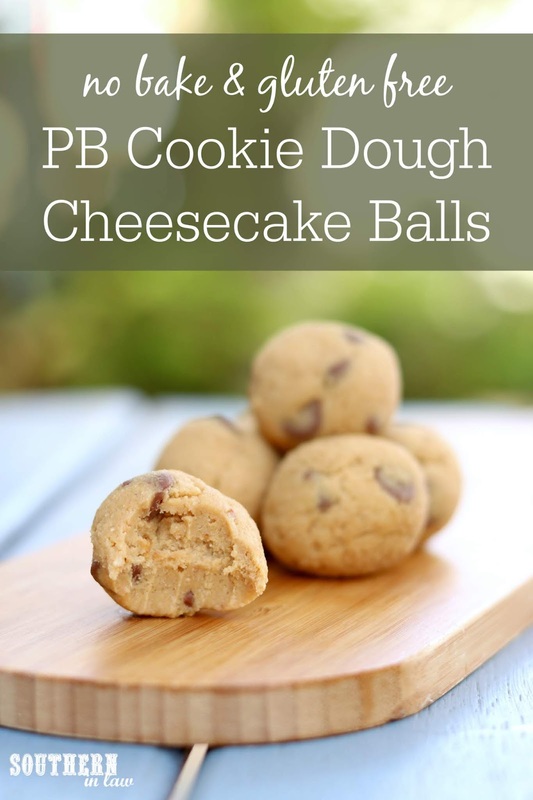 They taste like a creamy cookie dough with a hint of peanut butter flavour and they're addictively delicious. The recipe makes quite a big batch - but they can also be frozen so you always have a sweet treat to enjoy! 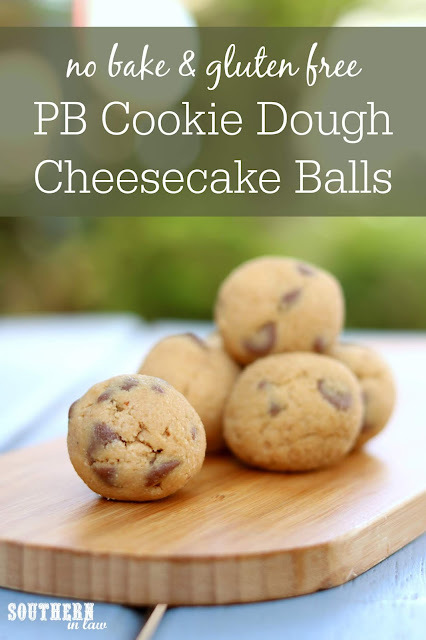 makes 30 balls that are gluten free, grain free, egg free and seriously delicious! In a mixer, beat your butter, sugar and peanut butter until light and fluffy. Add your cream cheese and vanilla and mix until combined, scraping down the edges to ensure everything is incorporated. Add in your chocolate chips and coconut flour, stirring until all of your ingredients are mixed. Chill your mix for 1-2 hours or until firm. Scoop tablespoons of the mix and roll or form into a ball shape with your spoons. Place onto a plate or tray lined with baking paper and repeat until all of your mix is used up. Serve chilled or place in the freezer to eat later on. These balls need to be kept in the refrigerator and are best eaten within 3-4 days. If you want to keep them for longer, freeze them to thaw and enjoy later. Do you get the Post Vacation Blues too? What was your all time favourite holiday? Previously we would have said Hawaii, but now Disneyland has taken the top spot! Our next vacation will be within Australia and at the moment we're tossing up between Queensland or the Northern Territory.